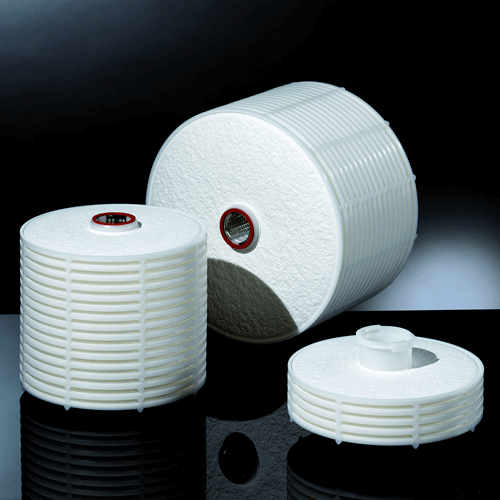 Becodisc stacked disc cartridges consist of pairs of Beco depth filter sheets coated on the outside edges with polypropylene and sealed. These filter “cells” are then stacked to the desired size, depending on the cartridge unit. The filter cells are securely held together with a segmented stainless steel sleeve, with profile rings used to seal between each filter cell. Bypass effects are eliminated due to the excellent mechanical sealing of the module once installed.